On this day a decade earlier, Pakistan was hit by one of the worst natural calamities to have hit the region. In the Bandi Mir Samdani neighbourhood of Muzaffarabad, which skirts the Neelum Valley road and marks the end of the town’s municipal limits, it is hard to stop staring at the mountain in the backdrop. The mountain appears to have been shorn off; its inner light-grey core is visible. It is hard to imagine the force that caused this. Asad Kiyani lives in Kiyani Mohalla of Bandi Mir Samdani, across this mountain, which acquired its current shape due to the devastating earthquake ten years ago, measuring 7.6 on the Richter scale. “Whenever I look at the mountain, I am reminded of that harrowing day,” he says, remembering October 8, 2005 when much of northern Pakistan experienced an earthquake that turned towns and villages in Azad Jammu and Kashmir (AJK) and neighbouring Khyber Pakhtunkhwa (KP) into graveyards. Thousands were buried under the rubble. It struck around 8:52 am, hitting the northern districts of AJK and the adjoining areas of KP. In AJK, Muzaffarabad was the hardest hit, mainly because the epicentre of earthquake was just 19 kilometres (12 miles) to its northeast. “The destruction caused - we had not imagined it in our wildest dreams,” Kiyani adds. Experts say AJK lies on land beneath which the Eurasian and Indian tectonic plates collide. The geological activity born out of this collision is the reason for the unstable seismic activity in the region. October 8 too was a result of this activity. More than 70 per cent of all casualties were estimated to have occurred in Muzaffarabad, while Bagh, the second-most-affected district, accounted for 15 per cent of the total casualties. Asad Kiyani, then 27 years old, was sleeping after having sehri inside his home in Kiyani Mohalla. But for some reason – he cannot remember it ten years later – he came out after eight in the morning and slept on a charpoy in his lawn. “I was dozing when suddenly the earth beneath my charpoy started shaking; there was an ear-splitting sound, amid unrelenting jolts, and I was eventually tossed on to the floor, while the house caved in,” he says. “When I managed to rise to my feet, everything was engulfed by clouds of dust, emanating from the mountain across the river as (a huge portion of) it had also caved in,” he adds. According to Kiyani and many others interviewed in that neighbourhood, the clouds of dirt completely marred visibility and people were unable to see anything in front of them, let alone at a distance, for quite some time. When the dust settled, the survivors rushed to look for their dear ones buried beneath the fallen buildings. All the 26 houses in Kiyani Mohalla were reduced to rubble, leaving almost all the residents either dead or wounded. Asad Kiyani’s infant nephew was killed while the adults inside the house were injured. 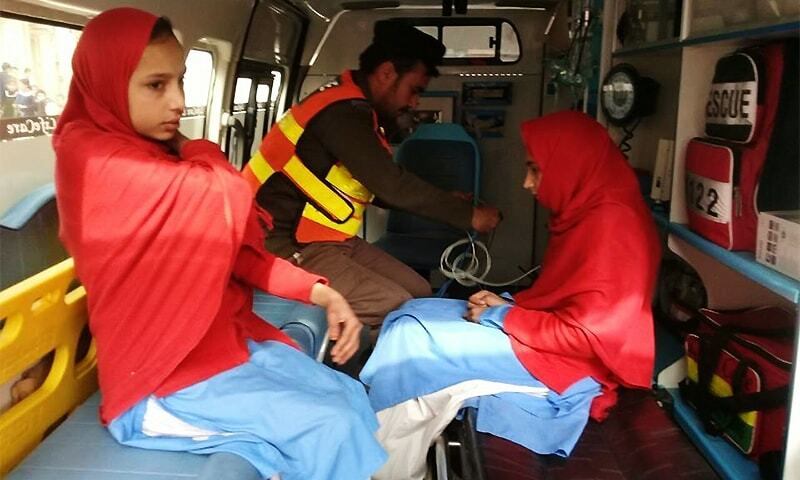 But next-doors, the fatalities were much higher, particularly in a government and a private educational institution, located around 100 and 200 metres away from Kiyani Mohalla, respectively. Saghir Kiyani, now 46, was in Mirpur that morning, visiting his father. He had taken his spouse and an infant daughter with him, but his school-going daughter and son, aged 11 and 9 years, were in Muzaffarabad, in a private school called Islamic Public School. “When we learnt that Muzaffarabad had been hit by a devastating earthquake, we desperately tried to call home. Finally, through an acquaintance in the police (who got information on the wireless) we found out that our entire mohalla had been razed to the ground,” he recalls. They saw only death and destruction everywhere. The helplessness that gripped those whose relatives were trapped under the rubble has left wounds, which refuse to heal. “I still remember the children and their teacher screaming for help but we could not remove those concrete slabs. They died as we watched,” he recalls. By the evening of October 9, Saghir and others had retrieved as many as 80 bodies, including those of his two children and five nephews. “We ran out of shrouds and burial space – we used the planks of school desks to cover the bodies,” says Saghir as his voice chokes. His wife, Musarrat, breaks down. “I shouted the names of my children, but there was no reply. I heard other children whimper; mine must have also moaned like that,” recalls the 38-year-old, as she weeps. Ten years later, she suffers from anxiety, insomnia and hypertension. Survivors have not been able to get over the tragedy either. Saghir says that in the past two years, his two brothers-in-law got married but there were no traditional ceremonies or celebrations. 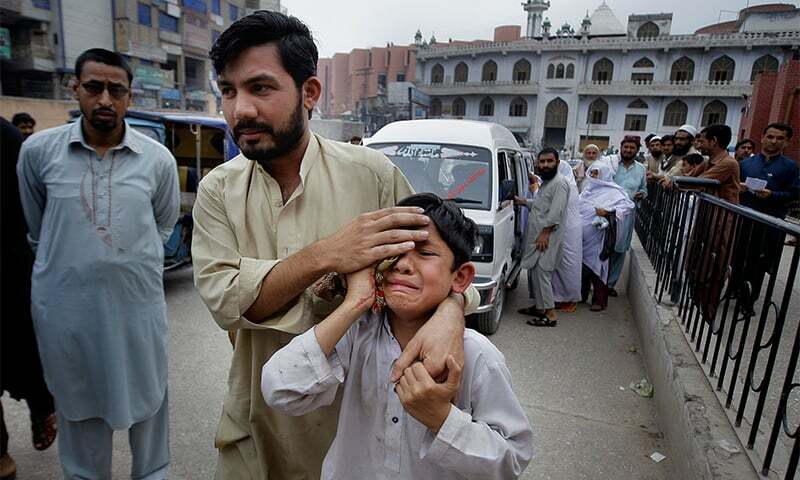 Dr Khawaja Hamid Rashid, a consultant psychiatrist at the Abbas Institute of Medical Sciences Muzaffarabad, says that the devastating earthquake left multiple psycho-social effects on the survivors. “A large number of survivors are still suffering from post-traumatic stress disorder complicated by other psychiatric and psychosocial symptoms,” he says. “While it was hard for families to come to terms with the death of loved ones, others had difficulties coping with injuries or loss of employment opportunities,” adds the doctor. Mir Mohammad Rizwan is the owner of Rizwan Public School in the main city, located partially on a slope that goes down to the left bank of River Neelum. When the quake struck, part of his school’s building collapsed instantly, trapping around 350 students and 22 teachers and other staff members, including his spouse Fauzia. Rizwan says the community still has not learnt from the earthquake. “We should have prepared ourselves to meet any such eventuality in the future, but alas,” he laments. Nafeesa Munir, then-20 years old, was teaching in a private school in Jalalabad, an upscale area of Muzaffarabad, which houses the official residences of the president and the prime minister. In her family, there were eight deaths. Ten years on, “Whenever I recall those moments, I feel as if everything just happened yesterday,” she says. Khadijah Umer Khayam, a practising clinical psychologist from Bagh, was a first-year college student when the deadly quake hit. After the first two jolts, the building of her college caved in, trapping her and 120 students. She was rescued after more than two hours, with a fracture in her foot. Nonetheless, she took part in rescue efforts. “I chose this profession because I was traumatised myself, as were members of my immediate and extended families. I wanted to learn how to bring such people back to a normal life,” she says. Khadijah believes that negative attitudes have multiplied among the survivors. “Natural disasters can render people numb for the rest of their lives. In some cases, victims of severe trauma experience not just fear, sadness, anger or even guilt, they even become less sensitive to the pain and agony of others,” she observes. Back in Muzaffarabad, ageing grocer Fazal Hussain corroborates her opinion. “On October 8, 2005 we all had a close call. And therefore empathy, brotherhood and affection should have increased,” he maintains. Abid Bashir is an 8th grade student in a state-run boys’ high school in Batangi village, some 58 kilometres south of Muzaffarabad in district Hattian Bala. Since he can remember, he has been studying under the open sky. He is not alone; some 450 other students learn with him. When the harshness of the weather becomes intolerable, they take shelter beneath tattered tents, which make up their “school building”. “It is difficult to concentrate on studies in this environment, particularly when the weather is extremely hot or cold,” he says, as fellow students nod in agreement. However, this is not the lot of the 450 plus Batangi students alone. In Muzaffarabad, the state capital, many schools function in similar conditions. “For the past several years, we have been waiting for the completion of our school building,” laments Saiqa Shafiq, a 9th grade student in the Government Girls Higher Secondary School Gojra. “Now that it’s the tenth anniversary of the earthquake, the media will be here again to report on our plight for a few moments. Later, we will be forgotten again,” she fumes. According to Mohammad Zaffar Khan, secretary State Reconstruction and Rehabilitation Agency (Serra), at least 150,000 students in Azad Jammu and Kashmir (AJK) are compelled to study under the open sky, due to missing or incomplete buildings. School children were a major casualty of the 2005 earthquake, as it levelled, partly or completely, as many as 2,792 educational institutions in AJK. Of those flattened institutions, donors pledged to rebuild 402 — 309 were to be rebuilt by the Asian Development Bank-funded Earthquake Emergency Assistance Project (EEAP); 201 by the World Bank-funded Earthquake Additional Financing Project (EAFP); 35 (mostly colleges) by the Saudi Fund Development and Kuwait Fund (SFD&KF) and the remaining, 1,845, by government of Pakistan (GoP) funding. The GoP-funding is the term used for the money Islamabad received from the international community as donation/soft loan to exclusively spend in the quake-hit areas of AJK and neighbouring Khyber Pakhtunkhwa (KP). This money was to be channelled through the Earthquake Reconstruction and Rehabilitation Authority (Erra). However, ten years down the line, only 1,277 educational institutions buildings have been completed in AJK. Of the rest, 833 are still under construction and 682 are yet to be initiated. Officials say the 806 under-construction and 653 yet-to-be initiated projects fall under GoP-funding. Only 29 of yet-to-be initiated projects in the education sector are to be built by donors, directly. Unfortunately, under-construction projects are also progressing at a snail’s pace. The reason, according to the government, is an unsteady cash flow. “A severe financial crunch has virtually paralysed the reconstruction programme since April 2010,” admits Serra Secretary Zaffar Khan. In 2011-12, the requirement for the ongoing and new projects in AJK was estimated at Rs 32.328 billion, but only Rs 5.38 billion was provided. Next year, AJK got Rs 3.564 billion against its demand of Rs 16.02 billion. In 2013-14 it got Rs 1.512 billion against Rs 14 billion and in 2014-15 it was given Rs 714 million against Rs 10.75 billion. In the current fiscal year, the minimum requirement was estimated at Rs 6.95 billion, but so far only Rs 182 million have been released to AJK. The projects in sectors other than education numbered 4,938, of which 3,928 have been completed and handed over to the concerned departments. Of the remaining projects, 778 are said to be under-construction while 232 are yet to be initiated, most of them in the livelihoods sector. In 2011, the Pakistan Peoples Party formed its government in AJK, three years after assuming power in Pakistan. Reconstruction related officials here heaved a sigh of relief, assuming that the new government will ensure reconstruction funds. However, the expectations were soon shattered. “In fact the PPP government squeezed the funds further,” complains an official, on the condition of anonymity. “If we demanded Rs 100, we were given Rs 10. How could the targets be achieved?” There have long been allegations that the reconstruction programme in AJK ran into snags because the Peoples Party led central government diverted Rs 56 billion meant for the purpose to other heads. In March 2012, PML-N AJK chapter president Raja Farooq Haider publicly levelled this allegation against the PPP government. The financial constraints did not ease with the change of government in Islamabad. In November last year, Prime Minister Nawaz Sharif announced Rs 4 billion for the completion of the under-construction projects, particularly in the education sector. Following the announcement, Serra selected 500 under-construction schools for quick completion. Contractors were persuaded to resume work. However, so far, no funds have been released and the trust deficit has worsened. “Now the contractors are not ready to believe us,” one official says. But the woes of Serra are not the entire story. The AJK Urban Development Programme (UDP) runs in addition to the projects executed by Serra. The former is a vertical programme being directly executed by Erra and the federal government in Muzaffarabad, Bagh and Rawalakot. This programme was launched in 2009; it was funded by $300m provided by China’s AXIM Bank and $53m by the government of Pakistan. This sum was to be spent in the Muzaffarabad City Development Programme ($190.62m), the Bagh City Development Programme ($123.55m) and the Rawalakot City Development Programme ($38.83m). Of the 104 projects, envisaged under MCDP, BCDP and RCDP (53 under BCDP and 18 under RCDP), 46 (25, 13 and 8 respectively) have been completed. In Bagh and Rawalakot, work on 39 and 18 is in progress. In Muzaffarabad, work on 27 projects is under progress, including the president’s and prime minister’s houses. However, many projects – 110 according to a Serra document - are yet to be initiated. “So far $140m have been spent under the MCDP… We have given preference to important projects,” says MCDP project director Brig (retired) Riaz Noor. He admits that the UDP has been facing delays due to a delay in the release of the funding committed by the federal government. The truth is that even the ones initiated are progressing slowly. For example, under the MCDP, 275-acres were acquired some 10 or so kilometres south of Muzaffarabad, for establishing two satellite towns, for earthquake survivors. Ten years on, these towns are still not ready for allotment. Development work is likely to consume another six months, according to Asad Habib Awan, chairman Development Authority Muzaffarabad (DAM), who nevertheless claims that his institution will start the allotment process soon. Zahid Amin, a leading civil society activist, has been protesting the delay of projects under the MCDP. “It is unfair to deprive Muzaffarabad of the projects that were promised to its people,” he says. Mr Noor says, however, that some “not-so-pressing” projects have been delayed for multiple reasons, mainly the high cost of land acquisition. After the earthquake, it was decided that AJK would be given Rs 4.18 billion for the acquisition of land for various projects under the UDP. However, it got only Rs 2 billion. Mr Amin also points out that the Chinese loan expires in December 2015, after which no one will bother with the unfinished projects. But Mr Noor shrugs off these fears, in the hope that the loan’s term will be extended to December 2016. Grievances notwithstanding, many believe that the rebuilt infrastructure, particularly the buildings, is impressive. “In all constructions in public sector, building codes and guidelines have been strictly followed,” says Zaffar Khan. In the private sector too, building codes have mostly been followed in new constructions, particularly in cases where government grants were involved. But with time, as complacency set in, newer construction has been carried out without adhering to rules. And the civic bodies have turned a blind eye. Mr Amin, who has headed both Muzaffarabad Municipal Corporation and DAM, points out that none of the civic bodies has a structural engineer to take care of this foremost task. “A city that sits on fault lines cannot afford to turn a blind eye to violations of the building codes,” he maintains. Serra officials also acknowledge that there have been complaints of non-compliance to seismic resistance standards. Worse still are the rural areas where there are no checks and balances. Asad Habib Awan, Chairman DAM, asserts that whenever they come to know about any unlawful construction, they take requisite action, swiftly. It was a Saturday and that too of Ramazan and my weekly day off from the BBC, Islamabad. I was jolted out of my bed by a strong quake at 8:50am. Soon after, news began flashing on TV screens about the Margalla Towers apartment building, which had collapsed. I rushed to the location, only to find my colleagues already there, so I returned home. The death toll was 20 by then. It was around 11am that I received a call summoning me to the BBC office immediately. I arrived to find a car ready to take me to the northern areas which were believed to have been affected. But no one had any idea about the scale of devastation since the communications infrastructure had completely broken down. So I left for the north that fateful afternoon, little knowing that I would end up reporting to the world the devastation of Balakot, which lost 10,000 people on Oct 8, 2005. Nobody in government had the slightest of idea at the time about the massive death toll here. The devastation started becoming visible from Abbottabad where I stopped to buy some iftari. Most people pointed me towards Mansehra. I dumped my plans for iftari and rushed towards Mansehra, where the main district hospital had accommodated twice its capacity of the injured and dead. Makeshift camps had been set up near the hospital. There, many people told me that the worst-hit town was Balakot. But the road from Mansehra onwards was destroyed. So I decided to walk. I joined a group of volunteers who were also heading towards Balakot. It was pitch dark by the time we reached our destination. Almost all the houses had collapsed and thousands were under the rubble. At a crossing, the injured and the dead lay together; people died in front of my eyes. One of the local leaders told me that no help was available. Many people asked me that if I could reach Balakot, why couldn’t rescue teams and the military? I had to lie that they would come very soon, despite knowing nothing about any rescue plans. As I started to take a round of the city, a group of parents led me to what they said was the local college, which had been buried during the earthquake. All I could see was a big piece of concrete on the ground. It was the ceiling of the building. The local people were desperately trying to cut through it with anything they could find, even stones, but to no avail. I could hear students crying for help. As I tried to get closer to the concrete, a woman shouted: “Come back. My child is inside.” I stepped back immediately; the shout still echoes in my head. The next few hours were hell. I kept recording the desperate calls of survivors. Then I left for Mansehra, went back to Islamabad, reported about the quake and left for Balakot again in the morning. Even then, no rescue teams had arrived, though people from nearby towns were arriving with food, clothes and medicine. A batch of military men came to examine the devastation. People ran towards them, pleading with them to dig out their loved ones – some of them could still be alive. But they were told flatly that this team was here only to survey, and help would follow after they made their report. People got angry and started shouting slogans that soon turned into cries of mourning as the military men returned to their base camp in Abbottabad without doing much that day. Months after the quake, the then government announced plans for setting up ‘New Balakot city’ and reserved land for it, too. Ten years later, very few have opted to relocate. Today, life goes on in Balakot as usual, with residents welcoming tourists with open arms. These travellers stop at Balakot for midway snacks or lunch on their way to Naran. That assignment made me emotionless for life. There can’t be a bigger tragedy than the earthquake which resulted in the death of more than 70,000 people. I told many more stories later, about the merciless killings by terrorists in Swat, Fata and Islamabad, without my face twisting. Such is the life of a reporter in Pakistan. “I have not forgotten for a day that our own government cheated us,” says Junaid Qasim, who was tehsil nazim of Balakot in 2005. 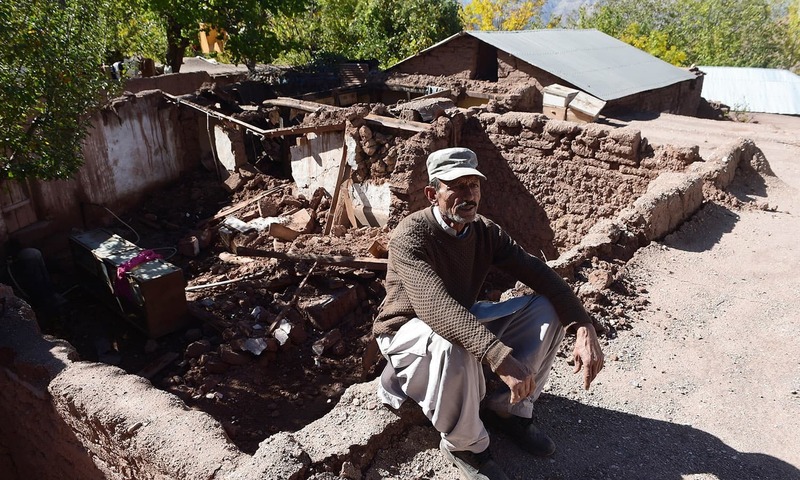 His anger and betrayal stems from the government’s promise to build a new, well-planned Balakot and then failing to do so – ten years after an earthquake destroyed the city. The 2005 earthquake razed Balakot city. Shortly after the earthquake, when reconstruction began, it was decided that Balakot would be rebuilt elsewhere, as the original city was located on a fault line. “The location was declared a Red Zone and no construction was allowed here, even makeshift shelters were established as temporary arrangements,” he said. He was referring to the prefabricated houses that dot the landscape. Made of metallic sheets and plywood, these lightweight houses are temporary bungalows. It is not possible to construct another storey over the ground floor. After the earthquake, all construction was halted – and still is a decade after the tragedy – and everyone was compelled to live in these prefabricated buildings. Even government offices or departments such as the post office, the girls’ school and a small hospital continue to operate in similar, prefabricated buildings. Reconstruction was to take place in the new city in a new location. Launched in 2007 at Bakrial, the new Balakot was to be 20 km south of old Balakot City and 15 km north of Mansehra. Today, it is an isolated area, characterised by a few villages, a large forest and grazing land. The total budget for establishing New Balakot city was estimated at Rs14 billion and some Rs1.2 billion have been paid to the landowners of the Bakhrial area, though the possession of the land is yet to be obtained. According to the plan, around 11,436 acres were to be developed – so far only 14 per cent of this has been developed. According to the original plans, the new Balakot city was scheduled to be completed by 2010; no one even blinked when the deadline passed. In the process, the destroyed infrastructure was never reconstructed. For example, two bridges over river Kunhar, connecting the people of Balakot living on both sides, have still not been rebuilt. Similarly, the local roads connecting the villages and adjoining areas with Balakot have also not been repaired. Worse still is the fact that no one is willing to take responsibility for the delay. The provincial government, the federal government and the ERRA all point fingers at each other, absolving themselves. Imran Khan visited Balakot in March 2015, accompanied by Chief Minister Pervaiz Khattak, Senator Azam Swati and others. Khan promised that land acquisition for the new Balakot city would be completed in three weeks. But this deadline has also passed. The KP minister for Local Government and Rural Development Inayatullah Khan visited the area in April 2015 and promised to take up the issue with the chief minister and the federal government, after blaming the local elected representatives for not pushing the matter. On the other hand, the local MNA and Federal Minister for Religious Affairs Sardar Mohammad Yousuf blames the provincial government, arguing that the acquisition of and the transfer of forest land was “a provincial subject”. Residents, meanwhile, continue to struggle on, not sure of the future or the present. The temporary settlements are not enough to cater to the residents’ needs, as many families have grown in the past decade and can no longer live comfortably in the small prefabricated houses. “Besides, these units catch fire easily, so cooking is a challenge in the winters,” said Zainab Bibi, a resident, who teaches at a local private school. To cope with this situation, some residents have established a small room with a chimney at a short distance from the main units for cooking. However, this makes life more difficult for the women who get exposed to the rain or snowfall as they go back and forth between the home and the kitchen. No wonder then that the residents of Balakot speak of betrayal and anger. The sense of injustice has simply grown once it became obvious that the government seems to have abandoned the plans to build a new city. “Now the officials openly encourage us to start rebuilding at the old site, but it will cost us all our savings to construct a new house,” said a shopkeeper in the newly erected market of Balakot. This new market, made entirely of concrete, was built earlier in 2015, near the magistrate office and lower courts. But despite the resentment, the residents have taken advantage of the change of heart – construction is taking place. A large number of factories making cemented blocks are proliferating. Many freshly constructed houses or under construction structures are visible along the road and on the slopes. However, this activity is still the domain of the well off. The majority of residents live in makeshift, prefabricated homes. Advocate Munir Lughmani, who serves as the convener of the Balakot Basao Tehreek and is a PMLN member of the newly elected council of Mansehra district, criticised the bureaucrats and politicians. “We had our tehsil headquarter hospital destroyed in the natural disaster but the political disaster has prevented it from being rebuilt,” he told Dawn. He said that a piece of land close to the original site of the hospital and outside the Red Zone was the property of Communications & Works department (KP); the health department wanted to build the hospital on this land. “When Muammar Qaddafi offered to build the hospital, C&W refused to part with the land; now that Qaddafi is no longer in this world, the land has finally been transferred to the health department in August 2015,” Mr Lughmani said. “This attitude of the rulers is one reason why we want a province for Hazara,” said Ahmed Hassan, a veteran journalist from the area. Najumul Saqib Iqbal was searching for a job after earning a bachelor’s degree from the University of Azad Jammu and Kashmir (AJK) in 2005. The ambitious 20-year old wanted to work with foreigners, whom he thought were energetic and dynamic. However, back then international organisations didn’t have a significant presence in Muzaffarabad. Iqbal still had not found a job when Muzaffarabad was struck by the earthquake in October. And in the midst of tragedy and mayhem, the young man was able to realise his dream. In less than three weeks of the earthquake, he clinched a job in the International Committee of the Red Cross (ICRC) which opened its office in Muzaffarabad to launch rescue and relief operations. Today he is serving in the same organisation as deputy head of Media and Public Relations. “The earthquake devoured our town but it provided an opportunity for youngsters such as me,” he says. Though the exact data is not available, it is believed that hundreds of educated youths got well-paid jobs in and around the places they lived, after the UN agencies and national and international humanitarian organisations rushed in to the quake-hit Kashmir. “Opportunities are embedded in tragedies; this disaster also opened a window of opportunity for young, educated people from the area,” says Khizar Hayat Abbasi, a Muzaffarabad based media consultant. More than men, women were able to see a new world. Before October 2005, they could only secure jobs in education or in the health sector. Their presence in other public sector organisations could be counted on one hand. However, the earthquake broke these barriers; young women took up assignments in UN agencies and national and international non-governmental organisations. Quratulain Zubairi, now 32, is one of them. She lost her both parents in the earthquake in Balakot in Khyber Pakhtunkhwa (KP). The graduate shifted to her maternal grandmother’s home in Muzaffarabad and spent the next ten months, commuting between Muzaffarabad and Balakot to work with an NGO. She now works with an international NGO in Muzaffarabad. Dr Bushra Shams, UN Women’s gender adviser for AJK and Gilgit-Baltistan (GB), praises UN agencies and other organizations for their contribution to capacity building and the training of youth in AJK in the wake of the earthquake. “They helped bring a change in the working patterns vis-à-vis women and youth,” she says. “No doubt, women were socially and financially empowered after securing jobs in national and international NGOs… by gaining control over financial resources as well as mobility, they also got a role in decision making,” says Nazneen Habib, head of the sociology department at the AJK University. Mohammad Zubair, a local journalist, said that the entire region has witnessed a break from traditions. The employment opportunity with NGOs, for men and for women, is what the majority of people mention when asked how society changed after the earthquake. However, when pressed for more details, other factors come forth. Many people also attribute the affluence of some to NGOs and donor agencies as those who earned attractive salaries in the development sector built houses in Abbottabad, Mansehra and near Balakot, shifting away from their native villages. For instance, officials say that a higher incidence of migration to Abbottabad started after mid-2000s. The increased use of cellular technology is also linked to the post-earthquake period. Before the earthquake, the telecom sector in AJK was monopolized by Special Communications Organisation (SCO); its cellular phone service was limited and erratic. Collapse of landline telecom system and erratic cell phone coverage delayed rescue work during the earthquake. The realisation that human lives could have been saved if a reliable communication system had existed in 2005, compelled Islamabad to allow private cellular companies into AJK. Anjum Farid Khan, a Pakistan Telecommunication Authority official in Muzaffarabad, says that cellular networks not only provided facilitated the people living in isolated areas, but also provided job opportunities. Others point to the changes brought about due to the reconstruction work. As the badly damaged road infrastructure was repaired, it gave a tremendous boost to the tourism sector and subsequently to the local economy. For example, Neelum valley had always been a great tourist attraction, but its dilapidated road network didn’t help the matter. But after the construction of a good road to Neelum’s headquarters, the area is attracting tourists from across the country. In peak seasons, it is difficult to find accommodation there, even though over a 100 guesthouses have emerged in a short span of time. Khawaja Owais Ahmed, a leading tour operator and hotelier, is grateful for the improved road network. But for some, the greatest change brought about after October 8, 2005, was at the Line of Control. On October 29, the same year, both countries inked an agreement to open the LoC at five points. The first crossing point, linking Tetrinote with Chakan da Bagh, was opened on November 7. The Chakothi-Uri crossing point was opened two days later. Two of the remaining three points were also opened afterwards. The frequency of cross-LoC travel also increased gradually and, according to conservative estimates, more than 30,000 people from both sides have availed themselves of the facility over the past ten years, despite complaints of bureaucratic hurdles. Trade between the two sides was launched in October 2008. “This activity has engaged former militants, and thousands of other low paid workers,” says Muzammil Aslam, a trader. Miguel Loureiro is an academic who worked extensively with aid workers and researchers from the Research & Information Systems for Earthquakes in Pakistan (Risepak) project at LUMS. Dawn asked Mr Loureiro what changes he felt had taken place in the region that experienced the 2005 earthquake and whether Pakistan was now in a better position to deal with such disasters. Q: Ten years on, what would you say are the lessons from the relief & reconstruction efforts following the 2005 earthquake? A: We’ve learned a lot of interesting things from experiences worldwide, not just in Pakistan, but there is still a long way to go. There is now a national organisation in charge of disasters – the National Disaster Management Authority (NDMA) – that also tries to prevent such incidents from occurring through risk-reduction efforts. But it is not working very well and the 2010 floods were a glaring example. The people in government did not pay attention to NDMA; they need to have more power. The way it works now is that the NDMA takes control of the situation once a disaster strikes. In 2005, there was no NDMA and with the country being under military rule, General Pervez Musharraf created the Federal Relief Commission and the Earthquake Reconstruction and Rehabilitation Authority (Erra). But these things weren’t done by a parliament; they were the one-off actions of a military dictator. The army did a good job with relief efforts, but they didn’t know when to let go. Recovery and rehabilitation is not like relief work, once you’re dealing with people’s lives and their livelihoods, you can’t afford to take very long in decision-making. Another major fallout from the 2005 quake was the fact that local governments were destroyed. From our experiences with disasters around the world, we know that it is the people who must recover: the government can only lend a hand. Once the army goes back, once the federal government goes back, the local government will still be there. But sadly, in 2005, citizens were not in charge of this process. Q: Which main social changes can be traced back to the earthquake? This was untenable: the entire subsidy amounted to around Rs135,000 and the total cost of rebuilding an average house was close to Rs450,000 in those days. At the time of the earthquake, a lot of the most able-bodied men were away from their homes. The dilemma they faced was that if they went back to help, they would lose their jobs, which provide the money they needed to send back home now more than ever. Of course, a lot of the changes were not real changes, they were just chronic effects, which happened steadily over time and only became apparent after the quake. But what did happen was a change in the way people showed their wealth. Those who could afford it built their houses better; those who couldn’t build back the same. Gulf migration began in the 1970s, but income levels didn’t really affect the way people made houses. After the earthquake, there was an excuse to build bigger houses and those became a way to show off wealth and affluence. At the same time, the earthquake made inequality more visible. Mobile phone communication also boomed after the earthquake. The lack of a cellular communication infrastructure was a big gap at the time, but it was later allowed. Many people I met there used to joke that before the quake, the world only used to hear of one Kashmir. But after the earthquake, it was opened up to the world and there were a lot of positive outcomes. When the NGOs came in, you had more access to them if you were more educated. There was also a myth among men that, after the earthquake, women became more mobile, outgoing and empowered. You would see them going out more, working at NGOs, going to hospitals. Both sides said this, those who liked it and those who didn’t. But we didn’t find any evidence to support this. A lot of the women who were working at NGOs, we found, were the ones who had taught at local government schools, which were now destroyed. Q: What lessons from the 2005 Kashmir earthquake were taken and put into action in Nepal? A: Both Kashmir and Nepal were quite similar in terms of the geography of the area, and some lessons were taken. Socially, the migration situation is also similar and there are various problems linked to martial law there too, as was the case with Pakistan in 2005. In both places, there is no social welfare to speak of. Even the BISP is for the poorest of the poor and several citizens fall through the net. Pakistan is not a welfare state, neither is Nepal. A lot of organisations came up with lesson plans. Some of them were taken from what the big organisations did in Pakistan in 2005. But the saddest thing for me is that there are a lot of things that Pakistanis didn’t learn about disaster mitigation. We know what to do after a disaster, but we’re not focusing enough on risk mitigation. No one dies of an earthquake; people die because buildings fall on them. They fall because they are not built to be quake-resistant. 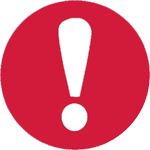 There’s no such thing as a natural disaster; there is a natural hazard. There’s nothing natural about disasters, they are all manmade because we don’t build properly or plan well. Visiting the areas in September 2005, l was surprised when the next morning l woke up and went out of the hotel where l was staying to find children of different ages, both boys and girls, walking towards their destination which were their schools and colleges. It was a pleasant surprise to see so many young ones in pursuit of learning. That disaster struck within a month with most of those children meeting death in their institutions, some of whom I must have seen on my visit to those areas happily walking to their places of learning, still haunts me at times. Whatever happened to the billions raised by the ordinary people?